Simple, innovative, elegant and flavourful food. 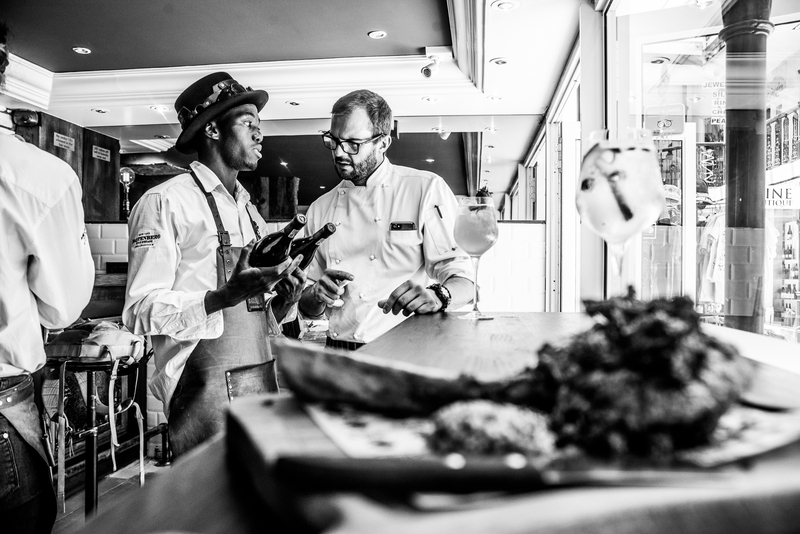 A steakhouse is no longer just a steakhouse with the opening of Char’d Grill & Wine Bar, a bespoke establishment in the Village Square on the famous Hermanus waterfront. With elements of industrial and steampunk design that incorporates vintage features with anachronistic modern technology, the interior creates a sassy and sophisticated fantasy world. Supplied by artisan butchers who are following the trend to utilise as much of the carcass as possible, these alternative cuts are no longer flying under the radar and presents diners with a whole new culinary experience. We make use of local produce, from the beef to our potatoes. Our dedicated suppliers go the extra mile to enable us to provide you with a memorable experience through the quality of our food, service and ambience. The unique wine bar offers not only a selection of premium local wines, but also craft rum, gin, brandy and beer with a state-of-the-art atomiser that allows you to get a whiff of the different flavours before making your selection. Get in touch and let us know if you have any questions!